GREAT OPPORTUNITY HERE...This popular Aspen model home not only has full solar it is on a Premium lot offering both privacy and views! This 2 bedroom/2 baths plus den & tandem 3 car garage offers flexible space to customize to your lifestyle. Designed with entertaining in mind...Enjoy gathering in the expansive living/dining room combination with hardwood floors & plenty of natural light. Triple sliding doors provide an extension of your living space from your screened lanai. A poured pad is pre-wired for a spa and/or summer kitchen. 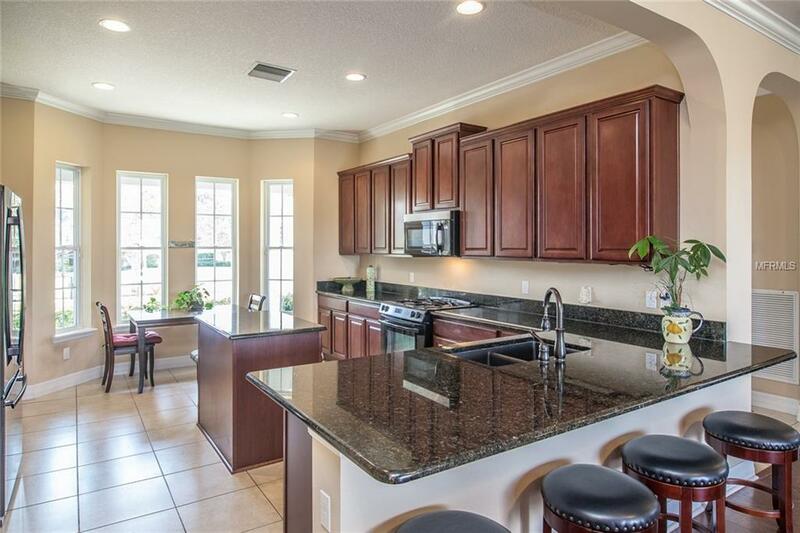 The gourmet eat-in kitchen is fully equipped with an island, breakfast bar, energy star appliances, granite counters, designer cabinets & huge walk-in pantry. The smart space with built-in desk area & extra storage is plumbed for a utility sink and the large capacity W/D do convey. The master bedroom ensuite boasts a granite top, dual sink vanity, soaking tub, separate glass framed tiled shower and huge walk-in closet. The 2nd bedroom is on the opposite end of the home ensuring privacy for owners and guests alike. 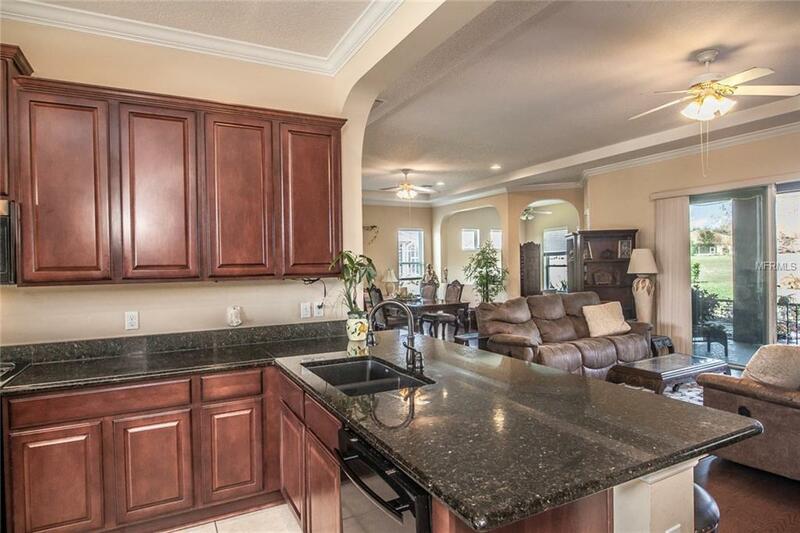 Home includes designer details like tray ceilings, 8 ft. paneled doors & archways. 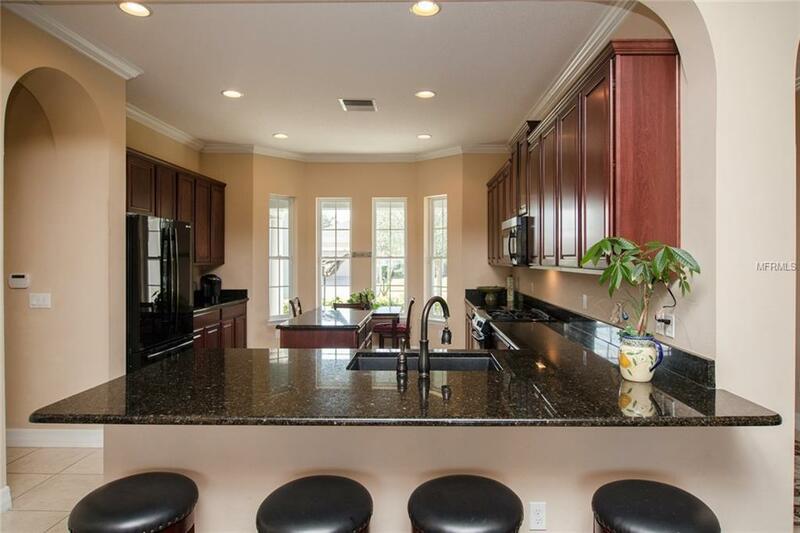 HOA Fee includes Lawn/shrub maintenance, expanded cable package, internet, landline, home monitoring, gated entrance. Amenities include an athletic center, full-service restaurant/bar, indoor/outdoor pool & spa, poker lounge, pickleball & bocce ball. 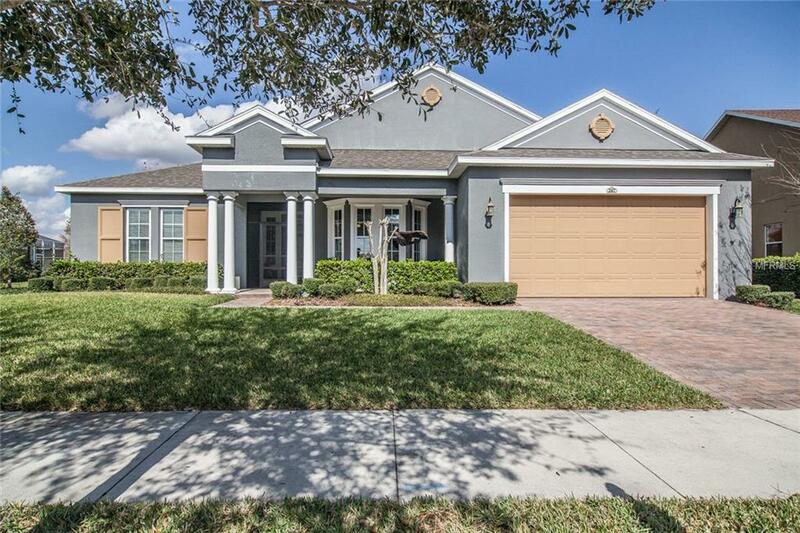 Don't miss the chance to own this beautiful home and start living the Good Life! Call today for your private tour.